Do you ever heard someone saying my iPhone is ill? Ever heard my iPhone has a crash or hey! Sorry I can’t call you back my iPhone is having a touch disease. Probably not, but in the today’s advance world iPhone really has encountered with a disease. A Touch Disease. If you have not heard of it before then brace yourself because your iPhone might have become victim of it. It is actually a disease in which your iPhone stops responding to your touches. Or you might have seen some grey bars on the top of the screen. According to technicians iPhone touch disease has been occurred because of the flaw in the design. But Apple on the other hand denied it and said that it occurs when a person’s iPhone is hit to hard surface many times. However, this disease is more common in iPhone 6 plus. Now, if your iPhone has diagnosed with the same symptoms then do not need to be worried. Because there is also a cure. Probably most of the victims tends towards buying the new iPhone. But there is no need for that you’ll just need an expert of micro soldering. Which is available at case-up. Case-Up is a Mobile Phone Repair Shop in Newport. But for this disease your iPhone should be in working condition not cracked or off. Secondly, if you have any kind of iPhone Screen Damage. 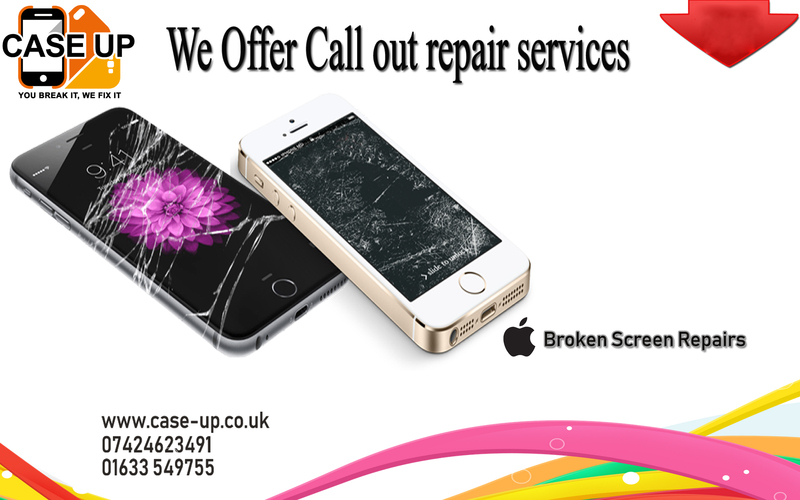 Whether it is water damaged, cracked or crashed case-up is at your service, providing the best iPhone Screen Repairs just under an hour. And your repair will come to you at your doorstep. Case-up also guarantees its repair because of the 100% feedback. All you need to do is book our services. And we’ll take it from here.